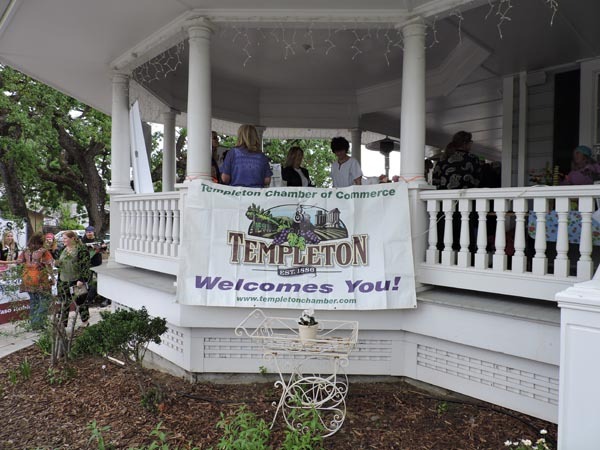 –The Templeton Chamber of Commerce held its annual Business Expo Thursday at the Café at Courtney’s House in Templeton. The free event saw many guests attend to meet with over 40 different local businesses. 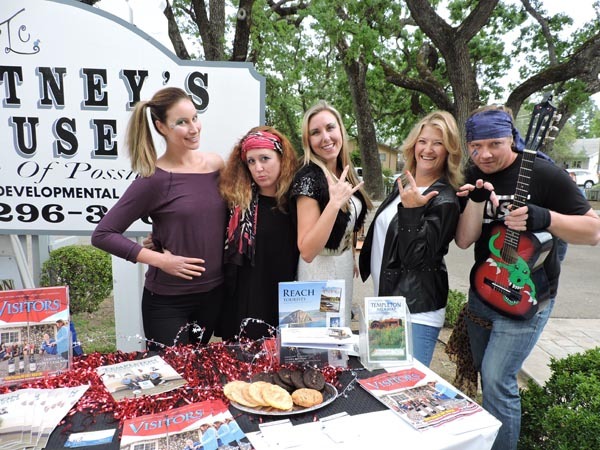 The theme of this year’s expo was “Rock Your Business,” and booths were decked out in rock and roll themes from different eras. 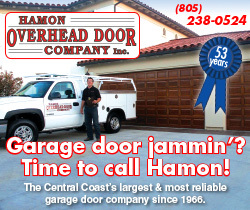 The event provided an opportunity for businesses to showcase their goods and services. During the event businesses held prize draws, giveaways and offered special discounts for attendees. Several restaurants, caterers and wineries also offered complimentary samples of their products. 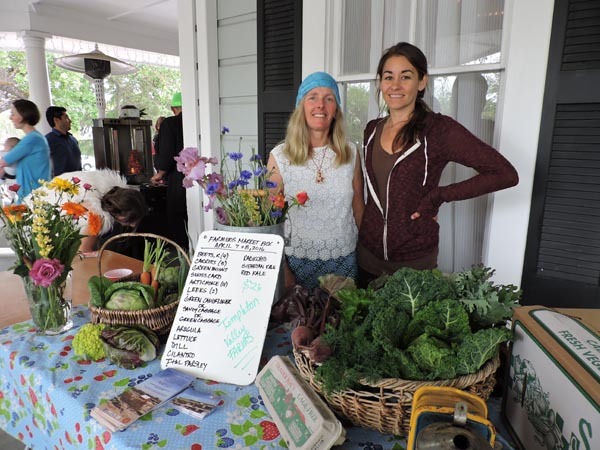 Templeton Valley Farms Owner Trina Baumsteiger and Stephanie Rynning rock out to the 70s and organic produce. 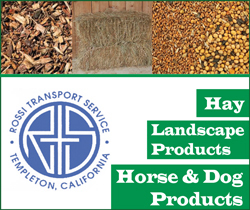 Templeton Valley Farms Owner Trina Baumsteiger said the expo gave exposure to her business and allowed her to talk to customers about her farm which is only five minutes out of downtown Templeton. Radiology Associates Marketing Manager Jessica Lundberg, another attending exhibitor, said she felt it was important for her company to attend because they were able to interact with the public, educate and inform the local community about their services. 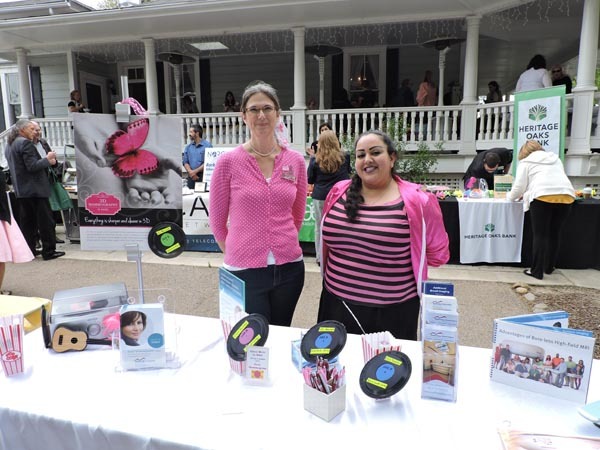 Pink Ladies Radiology Associates Marketing Manager Jessica Lundberg and Front Office Supervisor Sonia Maduena. First time attendees Solar City’s Tiana Hayes said it was great meeting people, getting to know what they are interested in and promoting their business. “I have been able to meet people here that I wouldn’t normally meet, which is important,” she said. Healthy Inspirations Owner Tricia Williams brings the 80s back to Templeton. 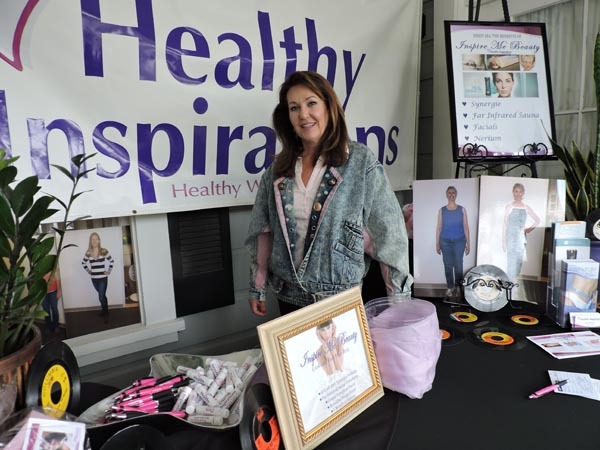 Exhibitor and Healthy Inspirations Owner Tricia Williams said she attends the event each year as it gives her the ability to meet with people on an individual basis and help them learn about her business. 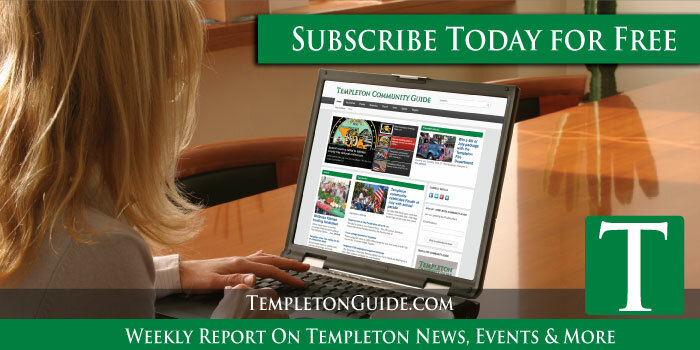 For more news about Templeton, check out the Templeton Guide online. The crew at Access Publishing. Tessa Eberle, Skye Ravy, Beth Brennan, Stephanie Musselman and Noah Cyrns.